Jadberg XGE Pants Gray Line goalie pants with new padding system. 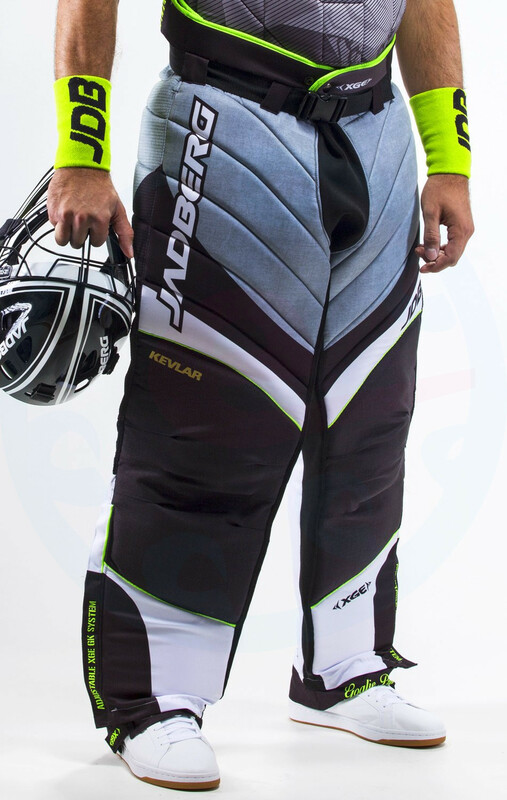 By your own requirements, you can choose how much padding you put in your pants. 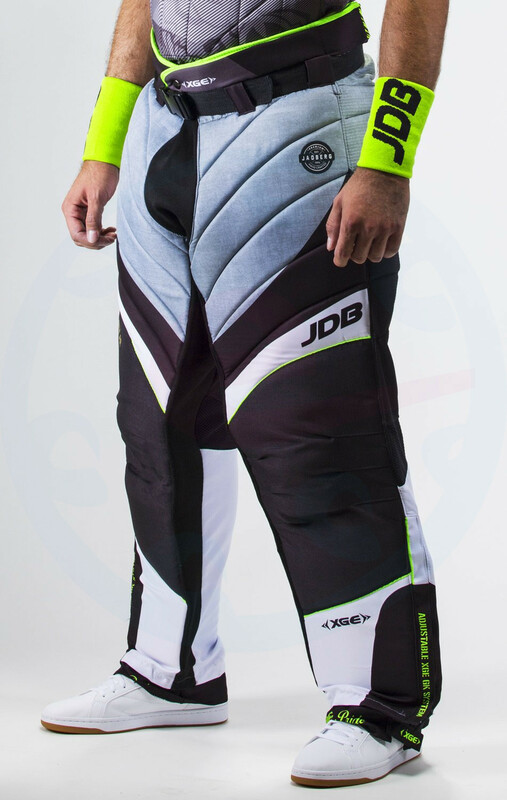 Pants have very strong and breathable material. 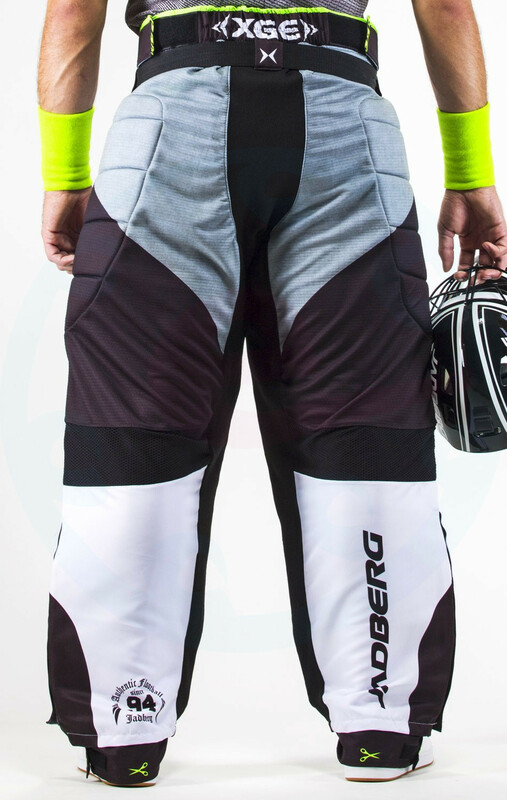 Knee part is sewn to handle the most demanding movements and is protected by Kevlar and Cordura. 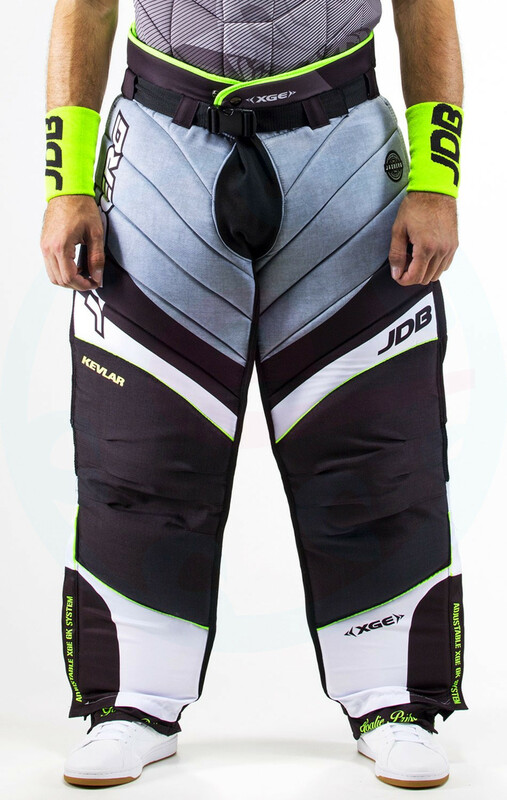 The crotch, the inside of the legs and the rear parts under the knees are provided with a flexible, functional material. Thanks to a more modern cut, the pants are even more comfortable. 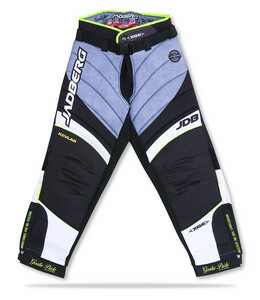 Lining - 100% Soft Polyamide, Kevlar.